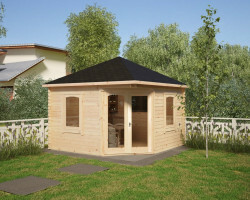 Hansa Garden’s small garden summer houses are simple, attractive log cabins made of Nordic spruce. 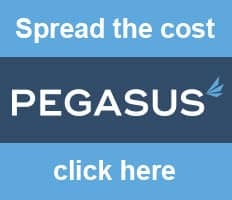 They are quick and easy to install. 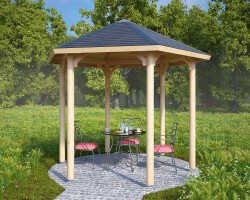 They don’t require a concrete foundation and they are very affordable. 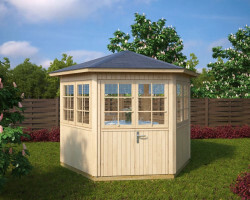 A small summer house can be used as garden shed to store your garden equipment, a small garden room in which to read and relax, an inexpensive garden office or a place for kids to play. 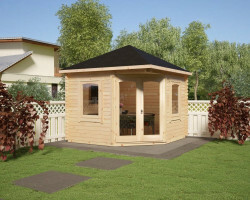 What makes Hansa Garden small summer houses better than other UK similar wooden garden buildings? 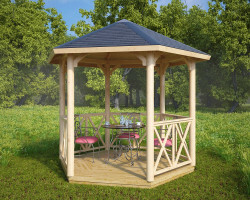 Hansa Garden has the highest standard for all our products, even for the smallest ones. 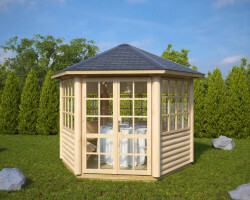 They have 40 mm thick walls, 18 mm flooring, 18 mm roof boards, real glass in windows and doors, wind braces, treated foundations joists, cylinder lock, roofing felt and assembly kit. These are all included in the standard price. A five-year guarantee comes with all of our garden log cabins and wooden summer houses. 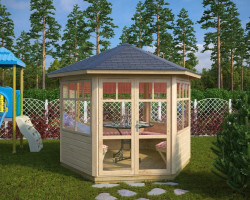 Besides the classic looking small log cabins you can find elegant hexagonal summer houses, small garden sauna cabins, grillkotas, BBQ huts, wooden gazebos and arbours in our range of small summer houses.